Over 3,300 people paid 99¢ for an Android app that allegedly cured acne with "colored lights" coming from your smartphone's screen. Admittedly, the folks that fell for this scam weren't the brightest bunch without even the most basic grasp of common sense. While a couple thousand users flashed their phones at their acne-riddled faces in vain, the developers of Acne Pwner came out with a couple grand out of the affair. Thankfully, the American justice system decided to step in and set a precedent for protecting consumers from fraudulent and dishonest apps. 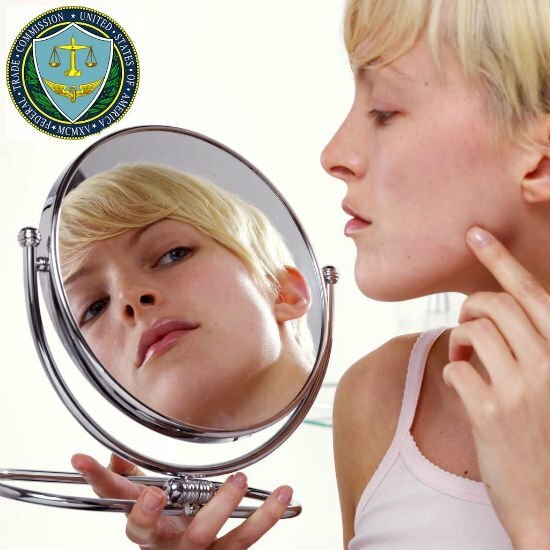 The Federal Trade Commission ruled against the Acne Pwner app for misleading consumers with bogus medical studies and fake endorsements from reputable medical institutions. As part of the ruling, this group of developers have been officially reprimanded and fined a modest $1,700 for their crime. Hopefully, this ruling will send a strong message to fraudulent apps that steal people's money. As we all know, there are many apps like this out there, but most of the developers are located overseas keeping them safe from law enforcement. So please be vigilant and use common sense when downloading a pseudo-medical app because as the chairman of the FTC put it, "when it comes to curing acne, there's no app for that". here is an idiot born every minute.